Changing up your hairstyle can change your attitude. Getting bangs, switching up the colour or chopping it all off gives you the feeling that this is a new start. But, you might be feeling like you've already seen it all. You might need some fresh ideas for inspiration. Where do you look? You've probably heard about Korean skin and beauty products becoming popular in the West. They also have some amazing hair trends that you'll love. Looking to do something new with your hair? What better place to start than this list of our 10 favorite Korean hairstyle trends of the moment. Looking for a change but don't want to do anything too crazy? Go for a light, chestnut brown colour. This is a great color to try if you don't have much time for hair maintenance. It won't fade out quickly like brighter shades. The "Comma bang" is one of the biggest Korean hairstyle trends of 2017 that everyone can try. Both male and female Korean celebrities have been seen on the red carpet sporting this comma-shaped swooped bang. To achieve this look, start by drying the rest of your hair. Then with a small, round brush blow-out your bang to get volume. Part your bangs to one side. Then with a 1/2 inch barrel curling iron, curl your bangs into the c-shape, one small section at a time. Then gently twirl all the curls together so they form a swoop. Give them a little spritz of soft hold hairspray and you're done! Put away the peroxide bottles. Platinum hair is out and ash blonde is in. Which is great news because this colour looks a lot more flattering and natural. If you want to rock this Korean hairstyle trend, keep your skin tone in mind. For those with fair skin, a light ash blonde looks great. For darker skin, try a darker shade of blonde. Since 2013 Korean celebrities slowly started debuting this 'do. Then, Kpop band Red Velvet sported them in their video for Dumb Dumb. It's become one of the biggest trends ever since. The poodle bang is thick, tousled, and poofy. Keeping that fluffy shape can be hard, especially if you have oily hair and skin. To keep your bangs from getting greasy, always have some blotting papers to dab at an oily forehead. Adding a copper hue to brown hair is a great way to spice things up while still looking natural. Korean actress Yoon Eun Hye was seen sporting the color this year. Ever since then it's caught on as big trend. Going copper can really brighten up your skin. That is, if you choose the right shade for you. Be careful that the copper you go with isn't too close to your skin tone. The key is to go with a contrasting shade. If you're very fair, go with a medium or dark copper. For darker skin, go with a light to medium copper. When it comes to dying your hair this flirty shade, you have a few options. One possibility is to go for a dark fuchsia. This is great for someone with brown hair who wants a pop of colour, but doesn't want to bleach their hair. Layering a pink hue on darker hair will give you a more subtle look. 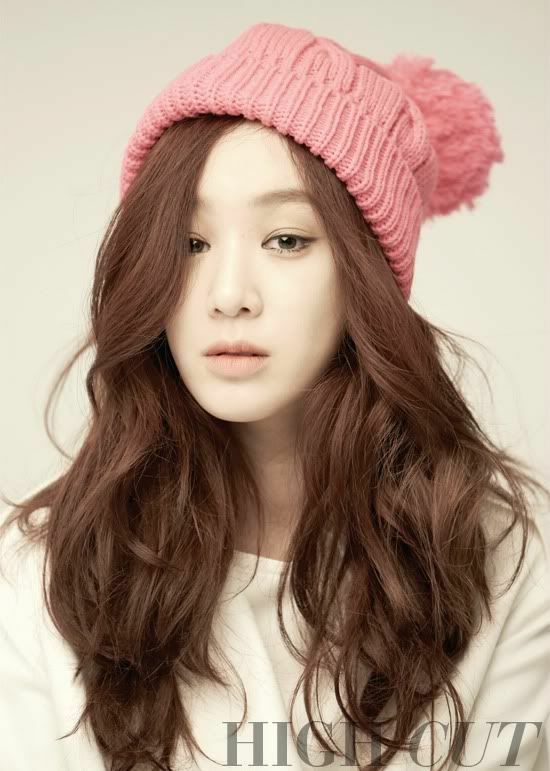 This shade has been seen on Korean singer and actress Park Shin Hye. 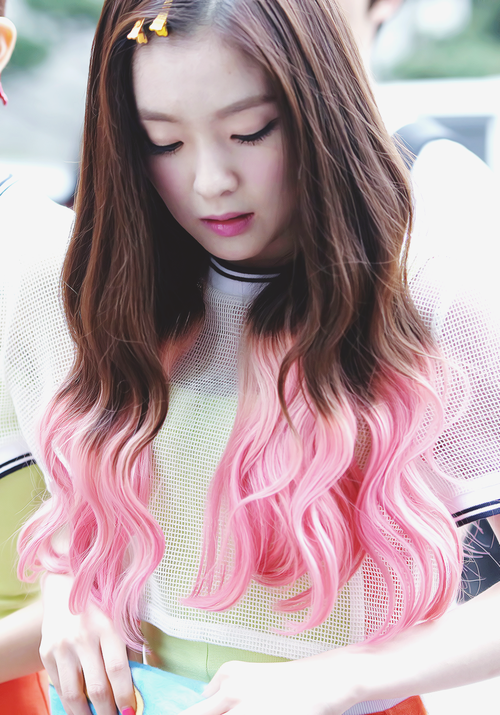 Her dark pink hair is beautifully understated. It almost looks like it could be her natural color! If you want hot pink hair or a soft pastel pink, you'll have to bleach your hair first. The results are worth it if you really want to stand out from the crowd! Another messy, easy-breazy Korean hairstyle! If you're not ready for a pixie cut and a perm is a little too, well, permanent, then the tousled lob is for you! You can have the messy locks and a shorter cut without being too extreme. A lob is a long bob. The length should sit just above or be brushing your shoulders. Ask for light, wispy layers instead of a blunt cut. Style with hair texturizing spray for that desired bed-head look. Ash is a really popular tone for hair colour right now in Korea. 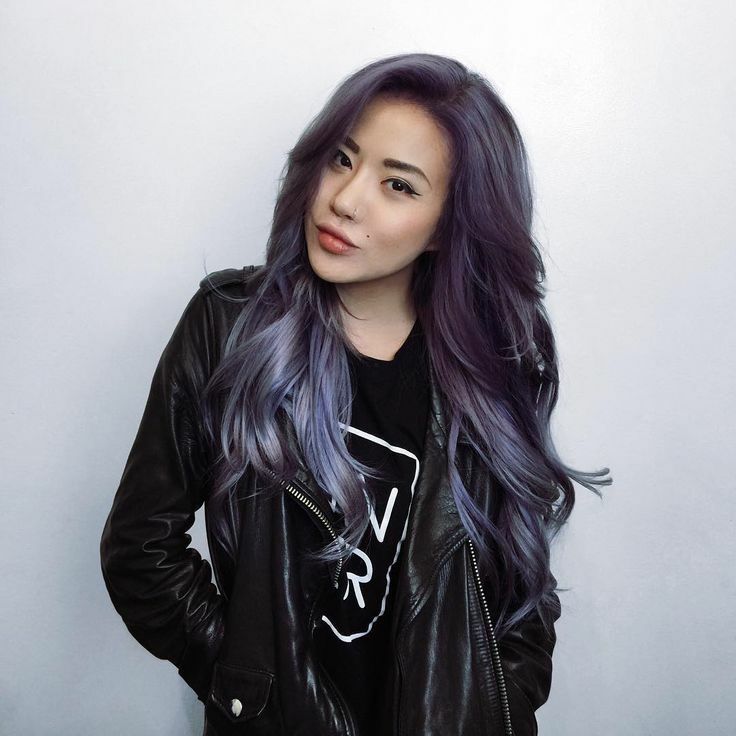 If you want to try something a little edgier than blonde-ash, try lavender-ash! For those who want to try it, be prepared for the upkeep. Maintaining brightly coloured hair can be a pain. If you want to keep your dye-job looking fresh between colourings, you'll have to put in a little effort. You'll have to get used to cold showers. Hot water fades hair colour fast. Protecting your hair from UV rays if you'll be in the sun for a while is also key. Using colour-formulated shampoo is a must. There's no shortage of bang trends in 2017. There's something for everyone. The baby bang is a chic and edgy option. Yubin, formerly of Wonder Girls, originally helped make this 90's grunge look popular again. These bangs also work even if you don't want a punk rock look. Paired with the hippie perm, these micro bangs look cute and wispy. Can't make up your mind on what colour you'd like to go with? Go with both! You can thank the Korean girl group Red Velvet for this fun trend. Each member each takes their own personal spin on this style. Irene, Wendy, Seulgi, and Joy each have a natural looking color up top. At just about shoulder length, the color is dyed a bright hue. Because the colour starts so low, it works best for someone with long hair. 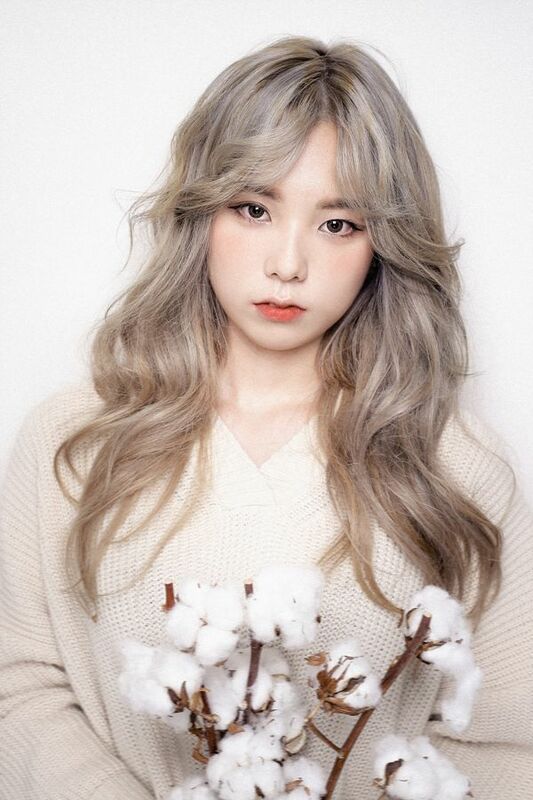 Are You Looking to Try a Korean Hairstyle Trend? Korea has been at the forefront of beauty trends for a while. If you want a new look, trying one of these styles might work for you. Thinking of trying one of these styles? Contact us and set up an appointment!